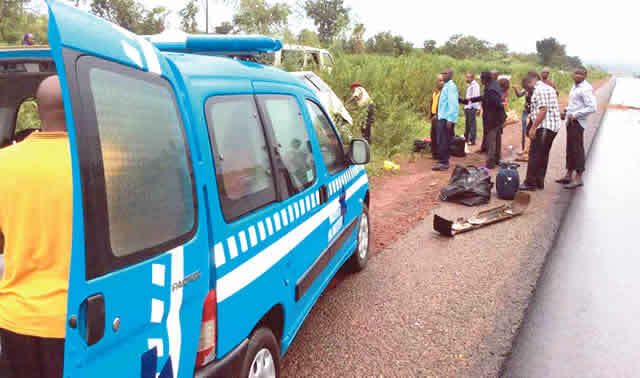 FRSC warns hospital against rejecting accident victims - AutoReportNG "AutoReportNG-The No 1 Car Blog In Nigeria That You Can Trust - AutoReportNG"
Hospitals in the country have been warned by the Federal Road Safety Corps (FRSC) against rejecting victims of an accident. The warning was given by the FRSC zonal commanding officer for Zone RS10 comprising Sokoto, Kebbi and Zamfara states, Kayode Olagunju, Daily Trust reports. AutoReportNG gathers that the fine for rejecting accident victims is N50,000 and or six months imprisonment. Olagunju said: “It is illegal for any hospital to reject accident victims." According to him, bulk of accident victims die within one hour of the crashes known as the golden hour. The agencies which include the FRSC, the police, hospital management, Vehicle Inspection Officers (VIO), state agencies on traffic and the National Bureau of Statistics (NBS), were urged to effectively collaborate in creating credible road traffic crash database in the zone.